Ashwani is a registered patent attorney, and heads patents and designs practice at ALG. 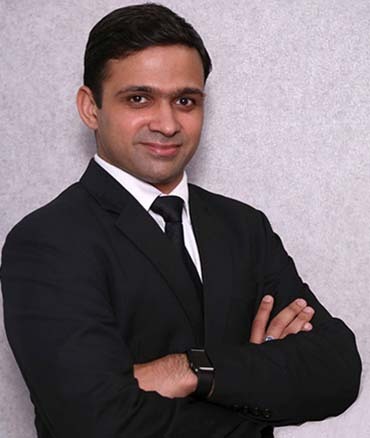 Having more than 10 years of experience in drafting and prosecuting patent & design applications in India, he holds special expertise in drafting patent applications for biotechnology and pharmaceutical related inventions. Ashwani also handles contentious trademark and copyright matters, including oppositions/cancellations, enforcement and litigation. Ashwani works closely with in-house counsels of several Fortune 500 companies in protecting and managing their IP portfolios in India. He also works with universities and academic institutions for their IP protection, and actively participates in their IP awareness programs. He is also working with start-ups, individuals, SMEs, and entrepreneurship cells in not only protecting their IP in India and other countries, but also in designing their IP policy. He spends a good amount of time in advisory and counselling work, with respect to devising effective IP enforcement strategies, and working out amicable resolutions/settlements in contentious matters. Ashwani has actively conducted trademark and copyright infringement raids, and handled IP litigation matters. Ashwani has experience in drafting patent specifications across vast areas of technologies; advising clients on patent eligibility and patentability of inventions; drafting, reviewing and advising on patent claims and drawings; analysing and advising on scope of patent claims, and enforceability thereof; filing and prosecution of patent applications; responses to office actions; preparing design representations; drafting novelty statements & disclaimers; conducting interviews with inventors; filing and prosecuting design applications and attending hearings before Controllers/Officers at the Patents and Designs office. Ashwani also assists clients in obtaining registration for plant varieties and the regulatory compliances in respect thereof. He also advises and assists companies and research institutes in identifying and protecting relevant trade secrets and technical know-hows, by helping them devising policies, guidelines and infrastructure for the same. Ashwani is involved in contentious matters at ALG, such as opposition and cancellation proceedings before the Controller of Patents and Designs, as well as IPAB (Intellectual Property Appellate Board), which includes drafting and filing notices of pre-grant and post-grant patent oppositions and responses thereto, evidence in support of opposition/application, affidavits of evidence, revocation of patents, amendment proceedings, cancellation and rectification of designs, etc. Ashwani also assists clients in contentious matters such as oppositions, cancellations, rectifications before the Trade Marks Office and Copyright Office as well. Ashwani works closely with clients in devising enforcement strategies, which include conducting infringement investigations, drafting and issuing Legal Notices, conducting raids with local officials, registering IP rights with custom authorities, etc. He is actively involved in enforcement action involving protection against infringement of trademarks, copyright and related rights, piracy, cyber-squatting, unauthorized access, misappropriation of confidential information, breach of confidentiality, misrepresentation, unfair trade and anti-competitive practices, etc. His litigation practice involves filing lawsuits, complaints and petitions before high courts, the Supreme Court of India, relevant district courts as well as statutory quasi-judicial tribunals including boards, regulatory authorities and commissions for infringement and/or revocation of patents. He also deals with litigation matters involving piracy of designs, registered plant varieties and copyrights as well as infringement and passing-off of trademarks, wherein he is involved in drafting and reviewing plaints, written statements, interim injunction applications and replies thereto, interlocutory applications, replications, affidavits, appeals/reviews/revisions, written legal submissions, and appearing and presenting arguments in proceedings both initiated and defended by clients. He assists clients in conducting local raids against infringers of patents, copyrights, and trademarks. He advises clients on transactional matters and has experience in drafting, reviewing, and counseling clients on license and assignment agreements, co-ownership agreements, joint-venture agreements, consent agreements, coexistence agreements, rights re-structuring agreements in respect patents, technology, designs, plant variety registrations, trade secrets, technical know-hows, copyrights and trademarks. Having a technical background, he is involved in drafting and reviewing of technology transfer agreements, agreements for sharing and transfer of technical know-hows and trade secrets, technical assistance agreements, hybrid patent/trade-secret licenses, R&D collaboration agreements, confidentiality agreements, joint development agreements and non-disclosure agreements. Ashwani also counsels and advised clients in relation to IP in media, entertainment, sports & broadcasting, art, fashion, information technology, data privacy, and cybersecurity. Speaker for “Patenting Biosimilars in India: Fears & Opportunities” in the ‘World Intellectual Property Forum’ at New Delhi on November 15, 2018. Conducted “Practical Session on Drafting Patent Claims for Biotechnology Related Inventions” in the ‘National Workshop on Patent Drafting’ organised by Department of Science & Technology in collaboration with CIPAM, TISC & RAJCOST, Jaipur, September 10-14, 2018. Speaker for “Techniques of Patent Claim Drafting” in the ‘National Workshop on Patent Drafting’ organised by Department of Science & Technology in collaboration with CIPAM, TISC & RAJCOST, Jaipur, September 10-14, 2018. Moderated Table Topic on “Trademark Infringement by Fan Contents and Parodies: Challenges in Enforceability and Solutions”, INTA Annual Meeting 2018, Seattle. Speaker in panel discussion on “Challenges in Commercialization of Patents” in Global Legal & IP ConfEx 2018, New Delhi. Speaker for “Legal perspective for Patenting Biotechnology innovations in India” in a workshop conducted by BIO (Biotechnology Industry Organization) 2013, New Delhi.